Even the taking of medicine serves to make time go on with less heaviness. I have a sort of genius for physic and always had great entertainment in observing the changes of the human body and the effects produced by diet, labor, rest, and physical operations. 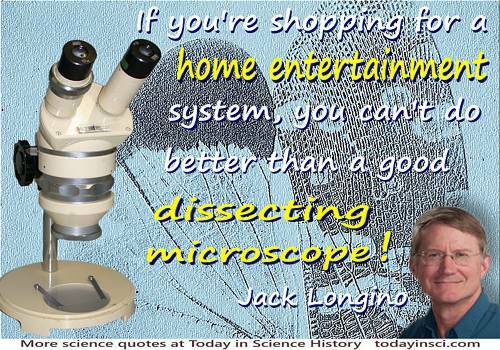 If you're shopping for a home entertainment system you can't do better than a good dissecting microscope.